Now that you have made friends with your sewing machine and gathered a few must-have tools, let’s start sewing! 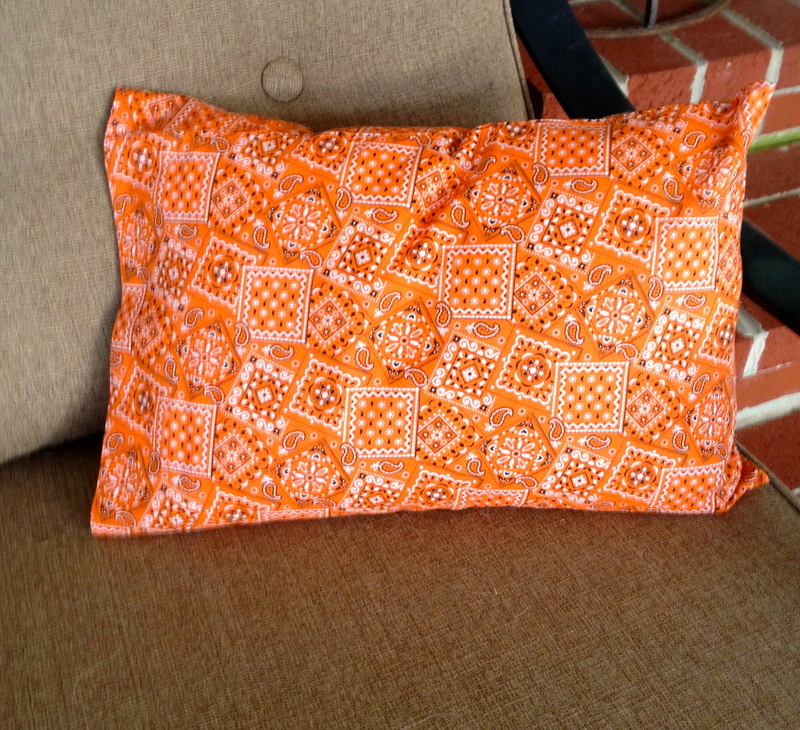 This travel pillowcase is a simple first sewing project that you will actually enjoy using. And if you feel the urge to make more after your first one, these little pillowcases make great gifts. 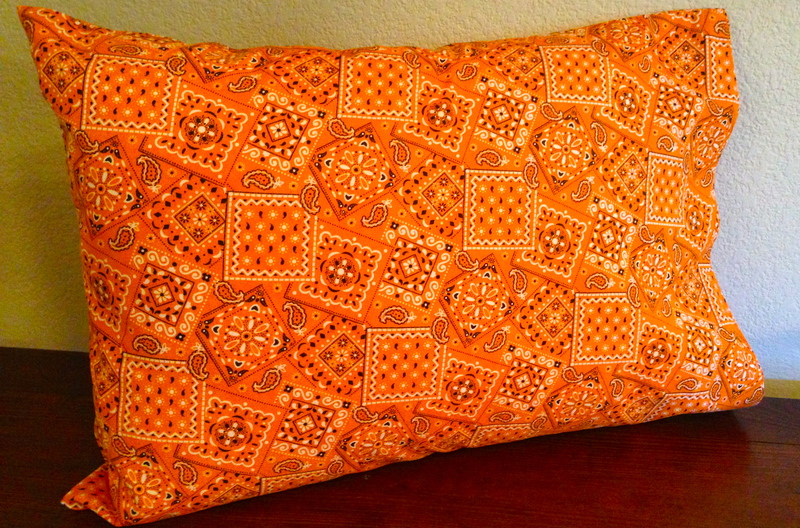 This project is actually the first of two different styles of travel pillowcases. The next “Beginning to Sew” post will be the second pillowcase. I suggest that you make them both for a good introduction to using your sewing machine. These would be great projects for a child learning to sew as well. 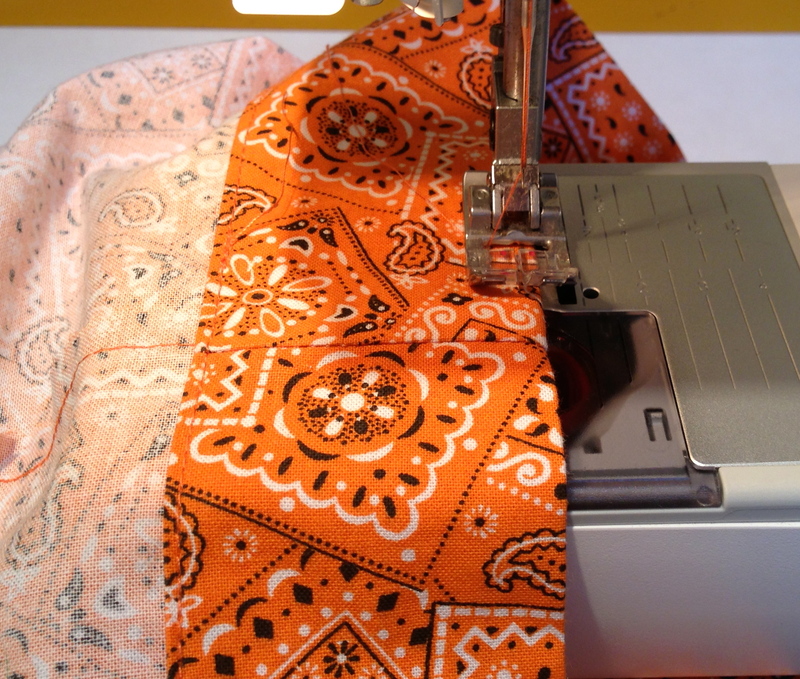 For this project, you will need 1/2 yard of cotton fabric, at least 44″ wide, and thread to match. Pick a thread that will blend well as your stitches are likely not to be perfect; a thread just slightly darker than the fabric will blend well. To test the thread color, pull a single strand across the fabric, in good natural light if possible, to see if it will blend well. Besides your sewing machine, you will need these tools: fabric shears, small scissors for snipping threads, pinking shears, straight pins, hem gauge, fabric marker, straight edge, and a seam ripper to correct any sewing mistakes. 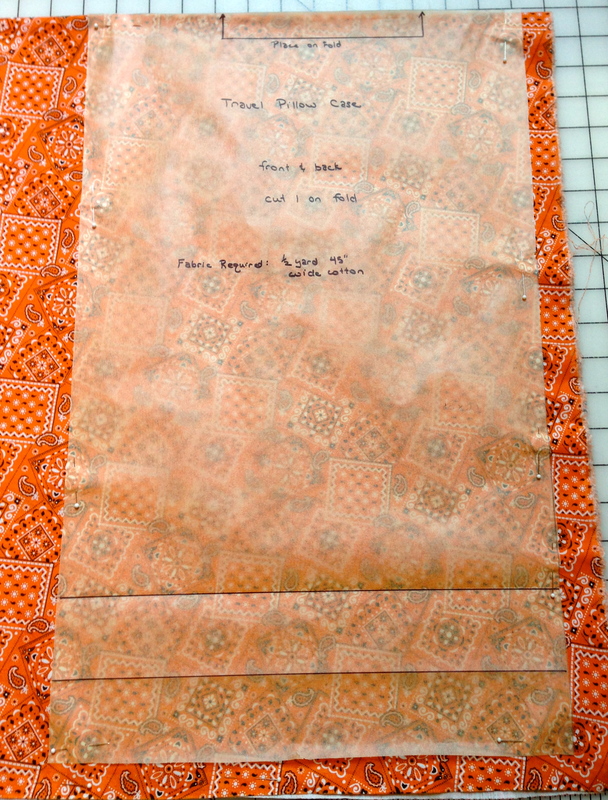 You will also need paper or pattern tracing fabric if you want to make a pattern for this project, rather than marking the cutting dimensions directly onto the pillowcase fabric. To use your new pillowcase, you will need to purchase a 12 x 16 travel pillow. Prewash you fabric by wetting it and drying it in the dryer. I use the rinse cycle on my washer, then toss it into the dryer. 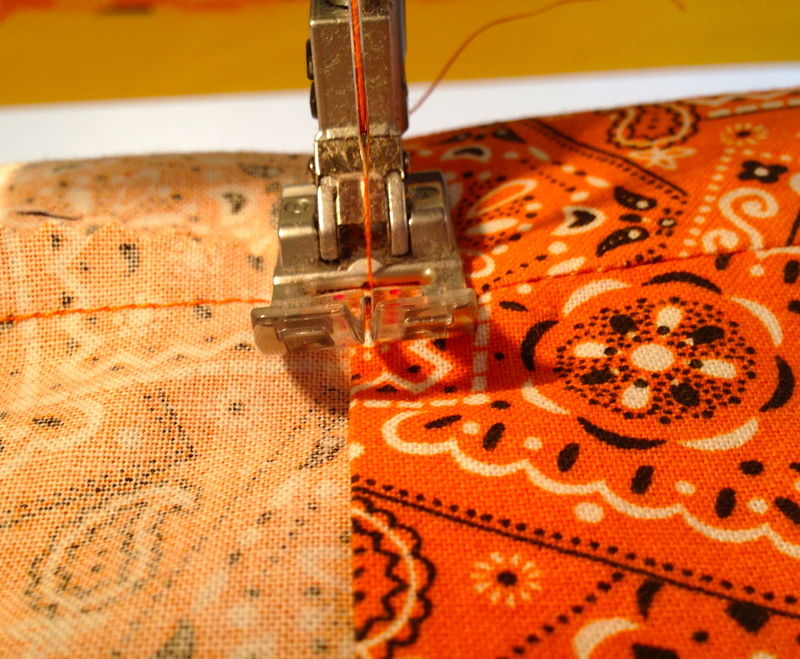 Press any wrinkles out of the fabric, and then straighten at least one cut edge of the fabric. 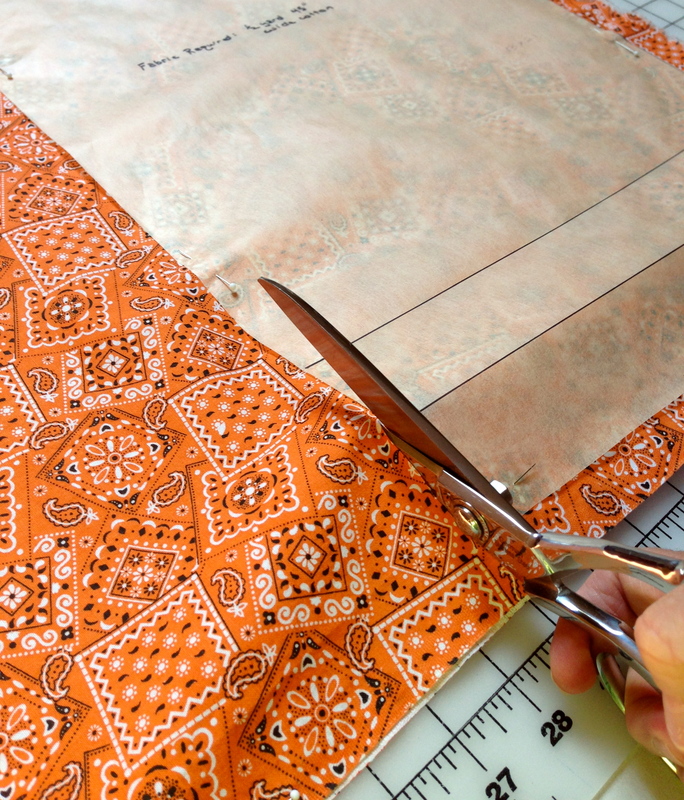 See this previous article and video on how to straighten your fabric in preparation for cutting out your pattern. Fold your fabric with the selvage edges (factory edges) together, and the straightened edge together, and lay on a flat surface. If you wish to make a pattern, draw a 13″ x 21″ rectangle onto thin paper or pattern tracing fabric (available at most fabric stores in the interfacing area). Refer to the picture below to see the notations you need to make on your pattern. The two lines at the lower end are drawn two inches and four inches away from the edge. Alternately, you can draw the rectangle directly onto the fabric using a pencil or a fabric marker and a straight edge. 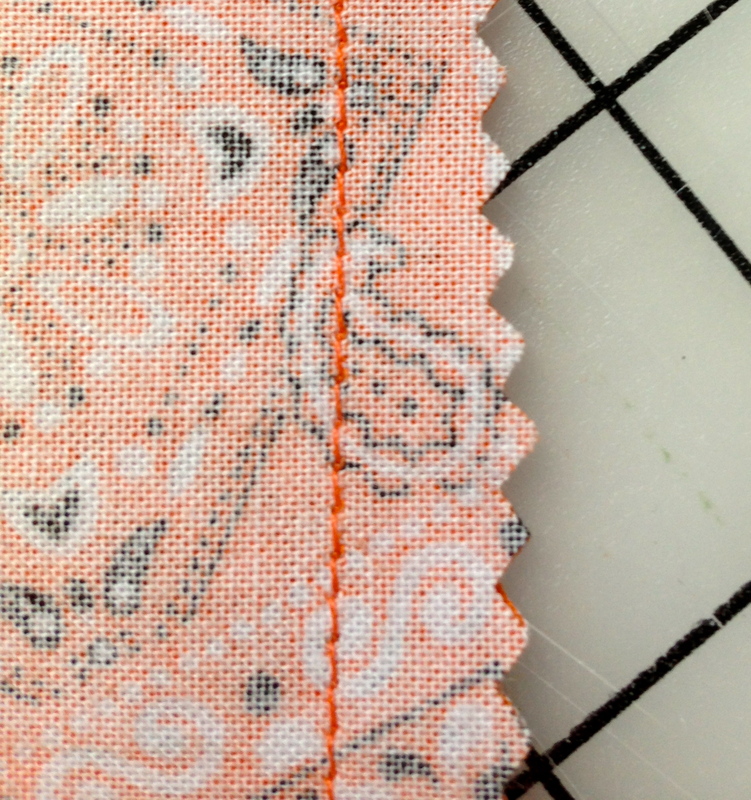 Pin the pattern onto the fabric, with one short edge along the fabric fold as shown. 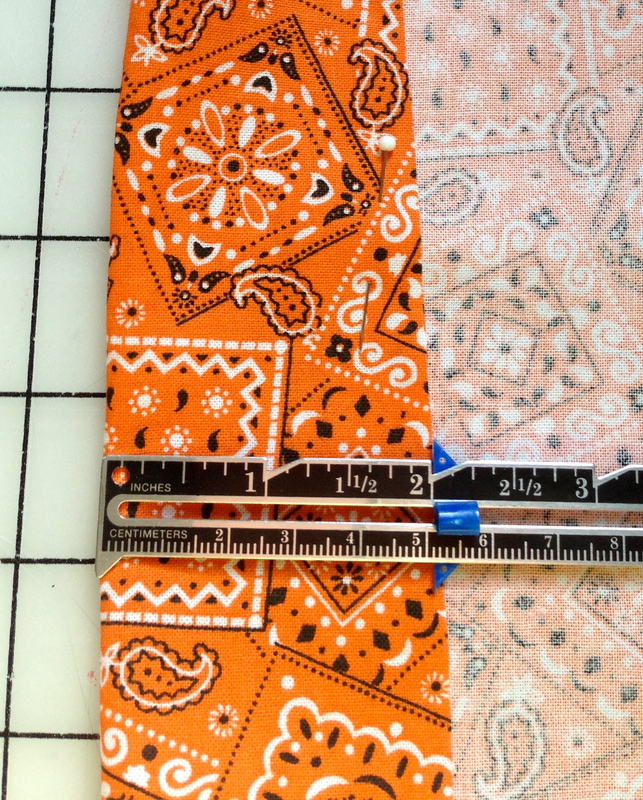 If you have opted to draw the rectangle onto the fabric, make sure you use a straight edge, and that the dimensions are correct on all sides; place pins inside the rectangle to keep the layers from shifting. Using dressmaker shears, cut along the pattern edge or drawn mark. At the corners, cut past the edge enough to turn the shears smoothly to cut in the next direction. Angled Dressmaker’s Shears make cutting out pattern pieces easier and more accurate. The bottom blade should be resting on the cutting surface. If you are using a piece of furniture such as a dining table, be sure to cover the surface with a protective layer of thick paper or a plastic cutting mat. Take the pins out of the pattern and fabric, and fold the pillowcase right sides together. (Hint: if you fold your fabric with the wrong sides together before you pin the pattern on and cut it out, this step will already be done.) Pin the long edges together for sewing. 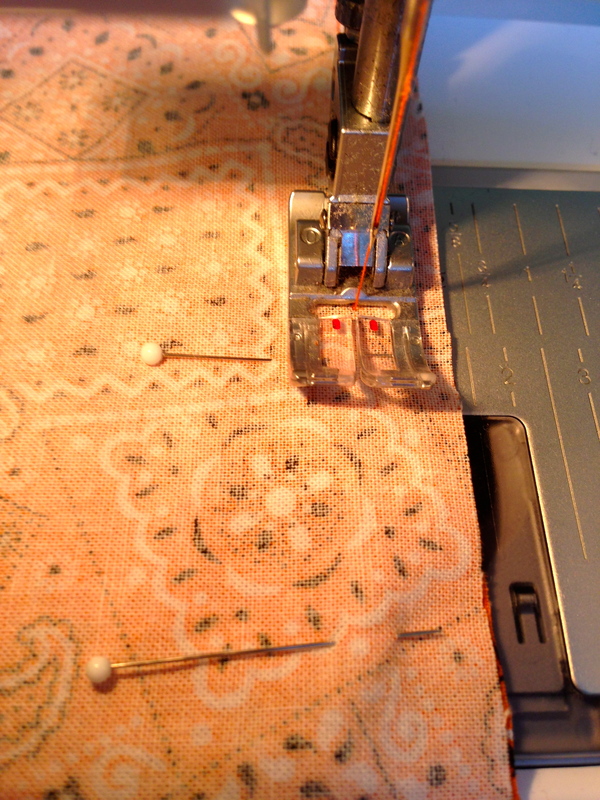 Turn your pins as shown here, so they are easy to remove before getting to the machine’s needle. Trim just the ends of the raw edges, leaving as much of the seam allowance as possible. 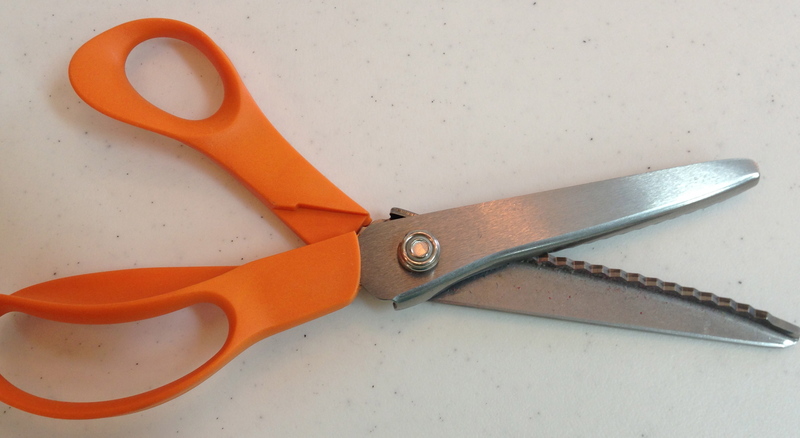 Trim the raw edge with pinking shears to keep them from raveling. Pinking Shears can be expensive. Look for a coupon or buy on sale. 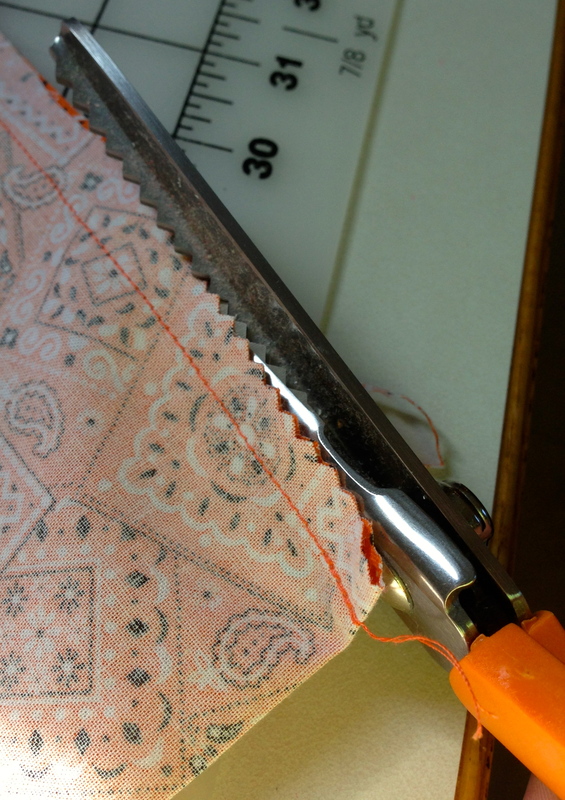 With wrong sides together, use a hem gauge to turn the bottom raw edge up two inches. Pin in place; press. Remove pins. Turn the folded edge up two inches, using the first turn as a guide. Pin in place; press. Use a hem gauge to turn the edge two inches, with the wrong sides together and the right side up. 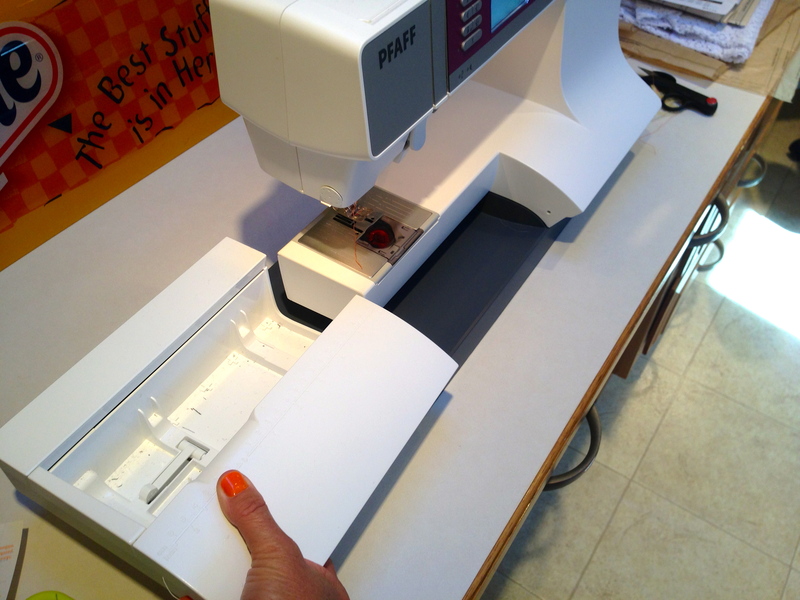 If you have a free-arm style sewing machine, use that feature for this next step. Topstitch along the lower edge of the pillowcase. Take your time, and try to keep this stitch as straight as possible. For a prettier topstitch, change your stitch length to 3, rather than 2.5. Backstitch when you come all the way around to the starting point. Then topstitch along the turned edge of the pillowcase, using the same procedure. Most modern machines have a Free-Arm design. My Pfaff has a removable bed. This feature makes sewing in a small circle much easier, such as a sleeve or in this small pillowcase. Topstitch along the edge, taking your time to keep the stitch line as straight as you can. Topstitch along the folded edge, using the same procedure as before. Enjoy your new Travel Pillow! Turn your pillow case right side out, and insert a 12 x 16 travel pillow. Congratulations on finishing your sewing project! Hopefully, this is the beginning of a fun new artistic expression! Please send us a picture of your finished project, so we can brag on you! Stay tuned for the next post on another style of travel pillowcase.